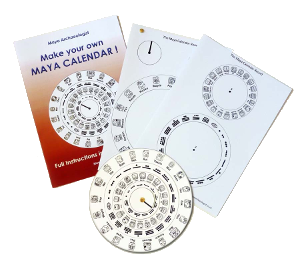 Discover the incredible ancient Maya. These items make wonderful teaching aids for KS2 activities. Price: £4.99 +P&P (UK Only). Products can be posted outside of the UK – please email first. Price: £16.99 + P&P (UK Only). Products can be posted outside of the UK – please email first. Price: £149.99 +P&P (UK Only). Products can be posted outside of the UK – please email first. 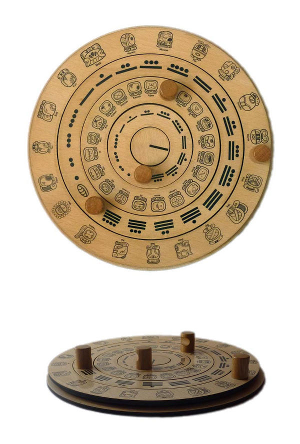 The calendar is made from 5mm beech plywood and the glyphs are printed on transparent vinyl; the discs are rotated by the hard wood knobs. 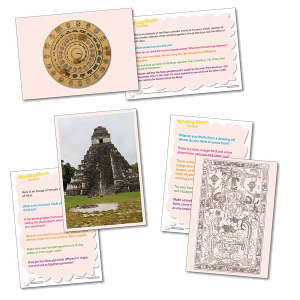 If you are interested in replicas of Maya ceramics then please have a look at the work of artist Louise Belanger, who is the illustrator for the Lamanai Archaeological Project in Belize.